Sunday night's beer: La Grange Farmhouse Ale from Rahr & Sons Brewing Company. 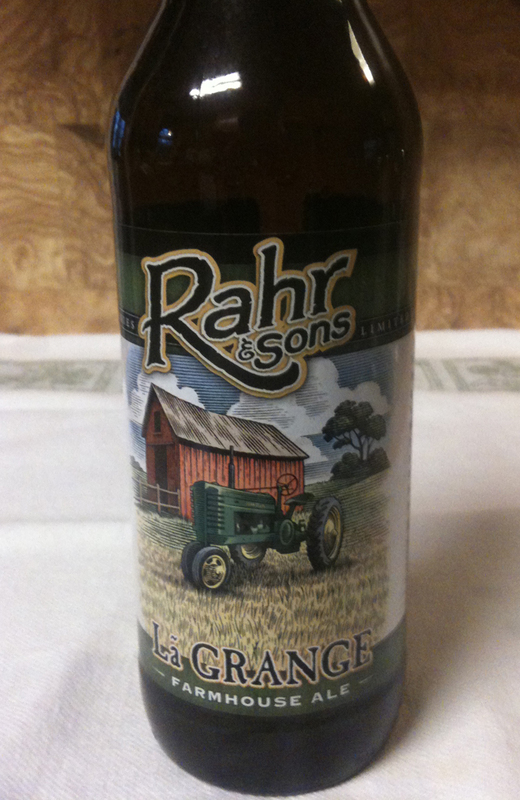 This is a limited release from Rahr, and there is no info on this beer remaining on their web site. But the Internet is a beautiful thing. Other sites list the ABV at 7.25% and the style as one that is traditionally brewed in farmhouses in southern Belgium for the late summer harvest. 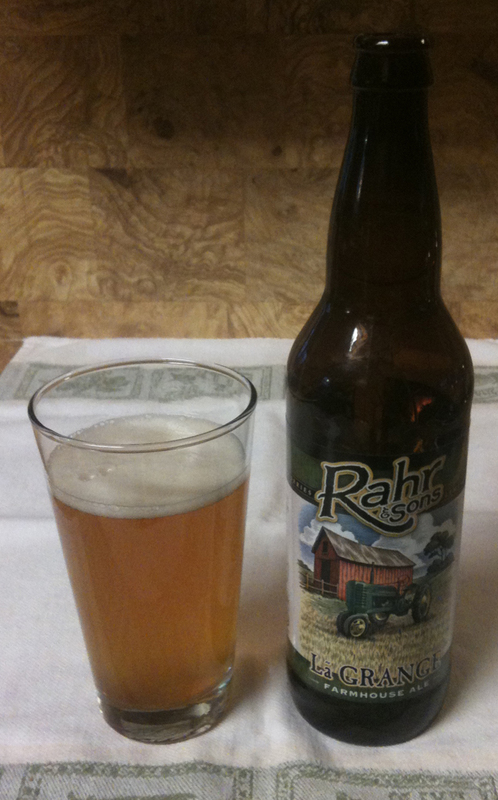 This release comes in a large bottle - one pint, six ounces. The La Grange poured with a very small, mostly white head. Color is a cloudy, golden yellow. The aroma is grassy, yeasty and has a hint of lemon. The taste has a bit of lemon and a definite yeasty quality. I would say it is medium-bodied. Very little bitterness. It finishes dry and leaves almost no aftertaste. These yeasty, wheaty beers are not really my favorite styles, but I have to say this is a very nice beer and one I would drink again.